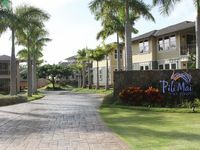 Located in the gentle environs of Poipu Bay on Kauai’s sunny south shore, and carved from a rolling plateau eight stories above the Pacific Ocean, Poipu Bay Golf Course nestles comfortably against the scenic background of a lush emerald-green mountain range. 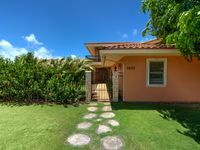 This is a place where visitors will find ancient stone walls and what remains of old-world Hawaiian heiau (places of worship). Indeed, there is one beautiful natural relic after another here. 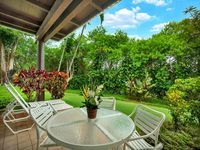 The recipient of numerous accolades, Poipu Bay Resort Golf Course has consistently been ranked as one of the top golfing destinations in Hawaii and the USA. From 1994 to 2006 the course played host to the PGA Grand Slam of Golf and is described as a “course unlike any other. This is an 18-hole, par-72 course measuring 7,123 yards. 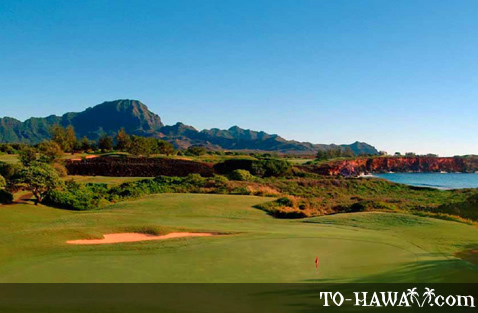 Designed by Robert Trent Jones Jr, players get a stunning head-on view of Mount Haupu at the twelfth hole, while the ocean comes into play on holes 15 through to 17. 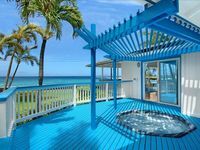 However, with such spectacular ocean views, players will need to stay focused on their game and not get distracted by the beautiful scenery. 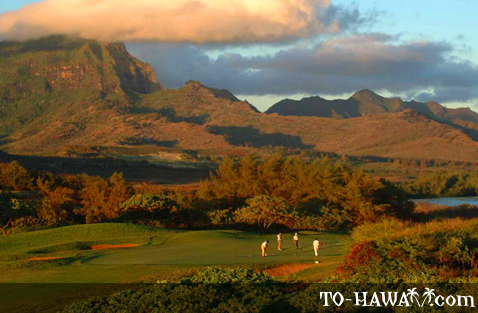 It is possible that native Nene geese, green sea turtles, rare Hawaiian monk seals, or humpback whales will put in an appearance to distract even the most dedicated of golfers. From a technical perspective, players start off with the trade winds directly behind them and slightly to their right to play the first hole. The second plays uphill and into the wind, but the bunker to the right is misleading because it plays longer than it would appear. The third plays longest of all the par-3s with the wind crossing from left to right. And so the challenge goes on with thrills and variety at each stage of play. 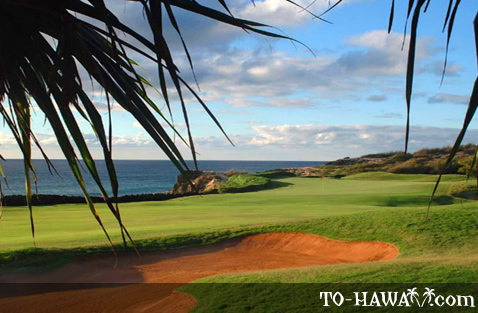 The sixth hole is the longest at Poipu Bay Golf Course, but is considered the easiest. The 16th hole, a par-4 measuring 501 yards, is considered the course’s signature hole because of its mixture of beauty and challenge. 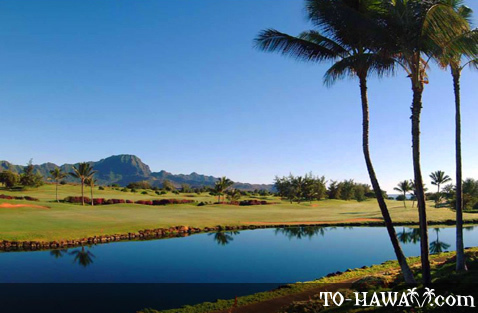 But, whatever the score, playing at Poipu Bay Golf Course is a unique, refreshing, and memorable experience. 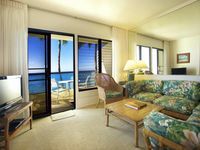 Situated next to Grand Hyatt Kauai Resort and Spa, Poipu Bay Golf Course has every amenity you would expect from a first-class golf resort. Refreshing cold towels and complimentary bottled water is provided. Additionally, the club offers an in-cart satellite navigation system that tells players the exact distance to the hole and pin placement. Golf clinics and private lessons are available from professional tutors, and there are practice facilities for those who want to fine-tune their game. The golf shop offers a range of fashionable clothing and accessories with the club’s logo as well as a selection of casual wear, contemporary wear, souvenirs, and giftware. There is also a restaurant where visitors and players can avail of refreshments.